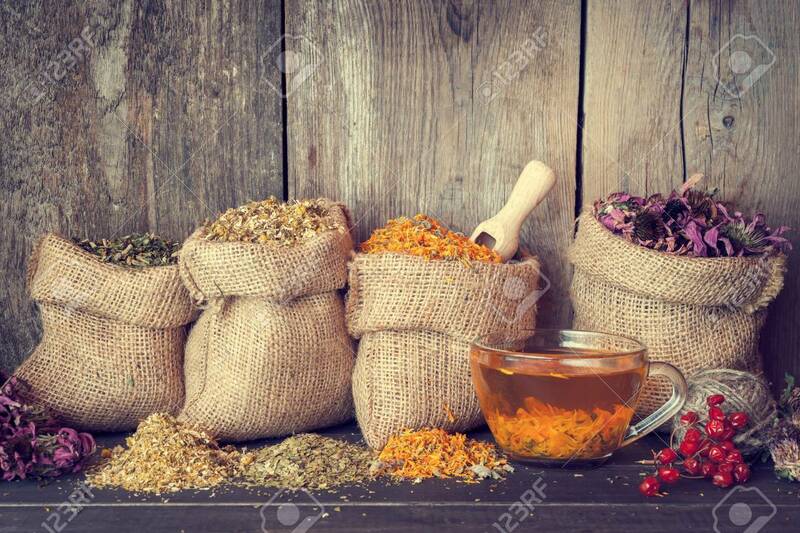 Healing Herbs In Hessian Bags And Healthy Tea Cup, Herbal Medicine.Retro.. Stock Photo, Picture And Royalty Free Image. Image 43556341. Stock Photo - Healing herbs in hessian bags and healthy tea cup, herbal medicine.Retro styled. Healing herbs in hessian bags and healthy tea cup, herbal medicine.Retro styled.